we sell food in the midwest. 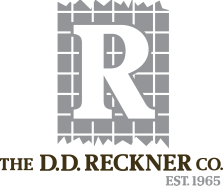 The D. D. Reckner Company works with several hundred operator groups and distributors each and every week of the year. With offices throughout the Midwest, we are ready to serve your sales needs. Our impact is felt nationally. We currently ship to over 36 states. We provide open market access for training and visits. We provide timely reporting and intelligence. You have access to all team members. Our effective administrative team enables sales to spend more of the day out selling for you.